March is over. Spring Term is over for the kids. I've got a busy Easter Holiday ahead but I have to just keep swimming, just keep swimming, just keep swimming, swimming, swimming...Anyway, here are the things that I've been loving a lot this past month. This cream cleanser is such a treat to use and I like using this after removing all my makeup in the evenings, though I do sometimes reach for this in the mornings when my skin is feeling particularly parched. Its really nourishing and feels lovely on the skin with no greasy residue left behind. I actually use this as a hydrating mask a lot too and have been really enjoying it on my dehydrated skin lately. Thankfully I have a couple of smaller tubes in my back-up drawer too. I am still stunned when I remember that I was lucky enough to win this beautiful pink gem in a giveaway hosted by one of my favourite blogging girls Liv - FashStyleLiv (if you're not already following her, you really should!). This has changed my cleansing game for sure and what was usually a minute long chore has now become something I genuinely look forward to. This cleansing device has numerous silicone bristles that help to make your cleanser more effective and sonic technology to really help massage and cleanse the skin. I find my skin looks brighter and feels smoother every time I use this. This was a total first for me as I had never used anything like this but now that I have, I can see it being a part of my life for a long time to come. I have dark brow hairs but they're so sparse with no real definition. 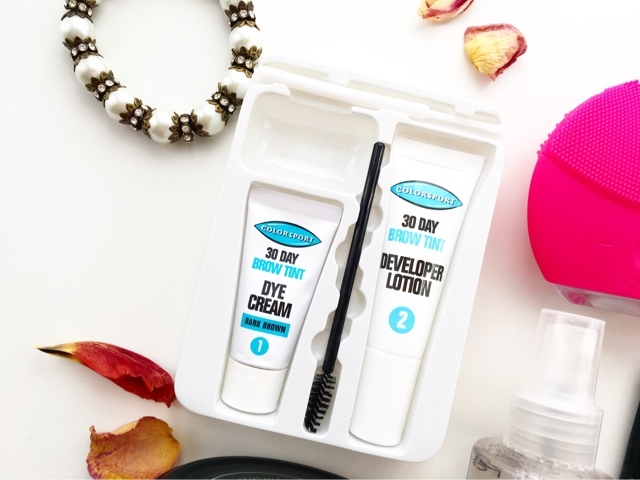 This brow dyeing kit has really helped me look like I have fuller, thicker more defined brows and the best part is that it takes a few minutes with long-lasting results. I opted for Dark Brown because I'm not a huge fan of bold brows and it still worked wonders on my brows, so much so that my sister was asking what I had done to achieve the brows I had always dreamed of without any makeup on!!! The kit comes with a dye, a developer lotion and a little mixing stick which you can use all in the palette provided within the packaging. I left it on for 5 minutes (the maximum allowed time) and the results were instant. I didn't use the brow spoolie that is provided but instead used a little angled brush for more precision - to make sure the tint was in the shape and location I wanted and not all over the place. I made sure to coat the edges around my brows with some Vaseline to stop any staining of skin or smaller hairs. I'm so impressed with the results and have actually done it again recently to top it up and love how confident I feel with my natural brows now. The finish is extremely natural-looking and that's why I love it because it works with what I want for my brows. If you have sparse brows or just don't have the time to spend doing your brows with 700 products every morning, then I highly recommend you check this kit out. There is also a lash tint available too that I haven't been brave enough to try yet. Speaking of brows, I have been obsessed with this pencil since Tope (the wonderful lady behind this luxury British Brand) gifted it to me. Its retractable with a spoolie on the other end and I find the angled pencil so easy to use not only to fill in my brows but also to define the ends of my brows. The formula is waxy without being heavy and has the right level of pigmentation to help me build up the colour for a natural look. The shade is perfect for my dark but sparse brows and I love how it makes my brows look fuller without looking filled in. You can also read my review of Mahogany Naturals Skincare Products here. This is one of those products that has become impossible to find and I've even heard some people saying that Primark may have discontinued it already (aargh!) but I have to mention it because it has blown me away. I've never used a primer water before and this cost me £2 so of course I was willing to give it a go even though I was super sceptical about it. To my shock and surprise, this actually does an incredible job of prepping my skin for makeup application, and I have pretty oily skin, large pores and dry patches all over the place. And this still somehow works. The makeup applies beautifully on top of it, lasts all day and stays looking fresher too. I sometimes spray this after applying my makeup to lock things in place and I don't know if it does that but I just love spraying it. It smells delicious too. I don't understand how it works but it does. I just wish I had purchased several bottles while I had the chance. I am so glad I finally gave this a go. It is so good and is everything that I was missing in my base collection. A long lasting, mattifying base that gives me a flawless, satin-matte finish without being heavy or looking like a full coverage foundation. I have been reaching for this a lot because it is such a great every day product and I've been able to wear this on days when I needed to look like I had no makeup on and even to a party. I'm so happy with it and the shade matches me really well and overall I am super pleased with this. This is more a rekindled love for me because there was a time, not very long ago, that this was literally the only eyeshadow I used every, single, day. I love the formula which lasts all day for me and doesn't crease as long as I don't apply too much. I take some on my finger and blend it out and within seconds my eyes look brightened, unified and it also makes the perfect base for any eyeshadows I choose to use on top. The shade works great for me too - a neutral skintone shade. I really need to get a new pot though! 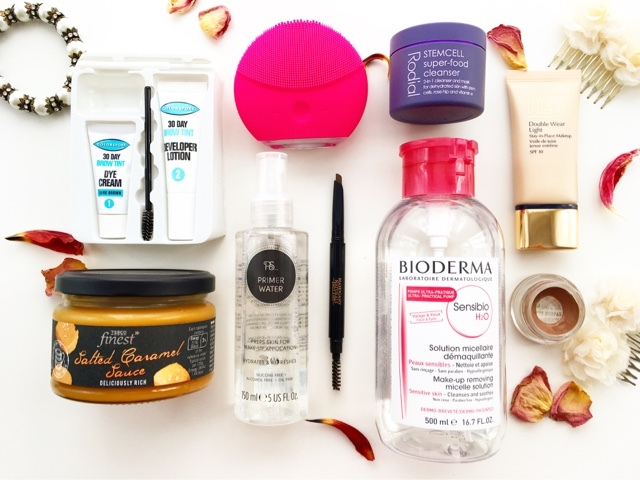 *This post contains PR Samples/Gifted products. All opinions are my own and 100% honest. Please see my Disclaimers for more information.